Congratulations! Today is your day. You're starting this quilt. You're stitching away! 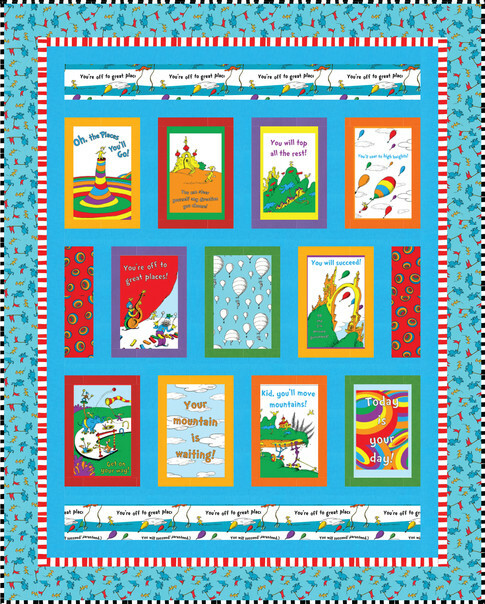 Piece together a fun Dr. Seuss project for the little one in your life, designed by Ariga Mahmoudlou. 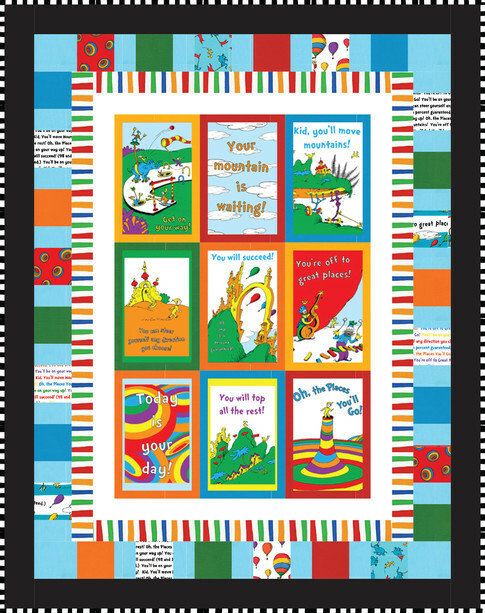 Quilt kit contains a pattern and Dr. Seuss Oh the Places You'll Go fabrics for the top and binding, by Robert Kaufman Fabrics. Backing sold separately, 3 3/4 yards needed. 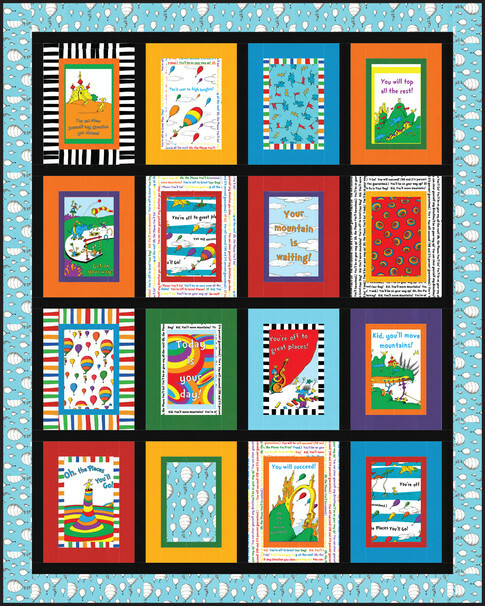 We recommend Oh the Places You'll Go - Text Bright Yardage. Finished Size: 45" x 57"